"Sequel to the indie breakout FPS Insurgency, now with 5 million units sold. Sandstorm is reborn, improved, expanded, and bigger in every way. " 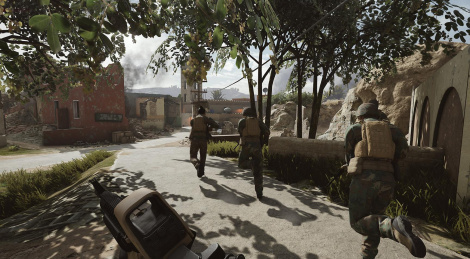 The graphics look really good and the description "team-based, tactical FPS based on lethal close quarters combat and objective-oriented multiplayer gameplay." is very appealing, reminds me of the S.W.A.T. games and the older Tom Clancy's Rainbow Six games. Thanks for bringing it up to people's attention. While not for me, I'm sure others on the site will appreciate it. Great games for everyone's taste. This really does look the best shooter in absolute years. Very Rainbow Six like (not the rubbish siege) cannot wait til this drops on consoles.